Beach Boardwalks Add Classic Family Fun to Any Beach Vacation. I think a family vacation at the beach is always better when it includes time at the boardwalk where sun, sand, and surf align with entertainment, lively activities, and classic often funky eateries. The best boardwalk options anchor both coasts providing family vacation choices from Wildwood, NJ to Virginia Beach and Santa Monica to Santa Cruz, CA. 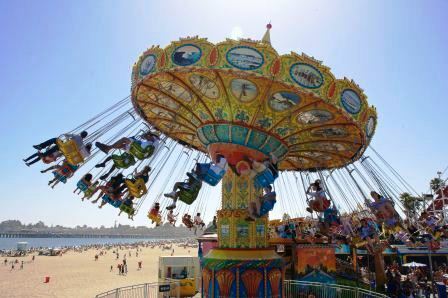 Santa Cruz Boardwalk carnival rides and “Bands on the Beach” free music all summer long. Fortunately there are more than 50 boardwalks throughout the US each offering its own local charm and providing a sense of place with a glimpse of decades passed. Some have amusement parks which provide classic touch to a family vacation at the beach while others are anchored by a classic fishing pier and oodles of great fish stories. Our Beaches and Water Spots lifestyle folder at the Family Travel Files highlights the best of American beaches featuring more than 50 great family vacation spots including the best beach boardwalks guaranteed to provide a rich menu of family activities. 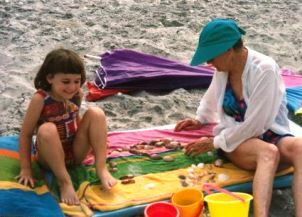 Our best beaches lists were assembled in part from suggestions by parents who used our Tell Mom feature to recommend their family’s favorite beach boardwalk spot. 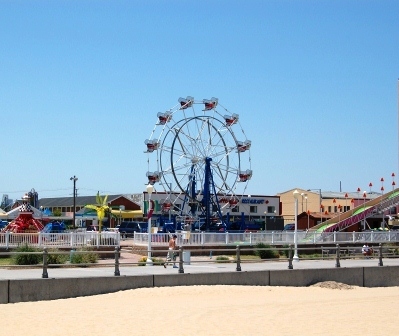 Virginia Beach Beach Boardwalk Ferris wheel rides all day long and free music all summer long. The best beach boardwalk locations offer one-of-a-kind experiences including vintage roller coaster thrills, wet-and-wild water flumes, surrey bike carnie games, Ferris wheel classic carousels, soft serve ice cream, face painting, juggling, stilt antics and delightful English toffee perhaps a double order of curly fries. Best of all is the chance to walk, bike or skate the boardwalk and become part of an ever changing vacation panorama with no two days ever being the same. Indoor waterparks top the list when it comes to tropical-style family adventures during the coldest months of the year. The best of these indoor adventure spots provide easy solutions for families short on time but ready to make waves. The fun quotient is high because at a waterpark flip-flops are essential; no sunscreen is needed; splashing is allowed; silliness encouraged, and laughter prevails. The surf is always up at the wave pool under the Wild Waterdome dome at Wilderness at the Smokies in Tennessee. There is really nothing to compare to the cacophony of sounds, almost 90 % humidity (no chance of rain) and bodies of all ages dressed in beach wear under a dome with chilly skies above. At indoor waterparks it isn’t always size that matters but the quality of the space which allows children of different ages to have fun without conflict. Wilderness at the Smokies in Sevierville, Tennessee. The queen of American waterparks, the Wild Water Dome Indoor Waterpark spans seven acres and includes a Surf Rider wave pool, countless waterslides, tubing rides, tipping water bucket and wading pools. Kalahari Waterpark in Wisconsin Dells, Wisconsin. 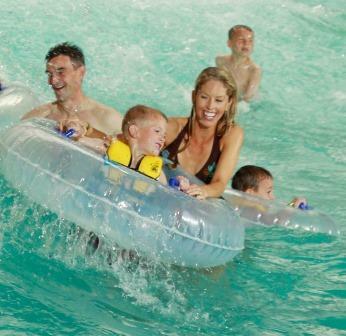 The family-friendly water complex contains offers Flowrider waves for surfing, lazy river floats, a water rollercoaster, lily pad jumps, and a spiral pipe flume ride. World Waterpark in Edmonton Mall, Alberta. The five-acre waterpark complex includes a beach supporting world’s largest wave pool so the surf is always up. There are more than 20 waterslides including super-fast body slides with free fall elements. Sahara Sam’s in West Berlin, New Jersey. The largest indoor waterpark in the state includes Flowrider indoor surfing, family rafting, lazy river floating, super-fast, extra-long body slide, a water obstacle course, and toddler lagoon. Splash Lagoon Erie, Pennsylvania. One of the largest indoor wave pools in the Eastern US, an exhilarating aqua tumbler, a fast body slide, a thrilling tunnel slide, water basketball games, double-spinning rafts, lazy river, and laser tag. Have fun making waves where ever you are. 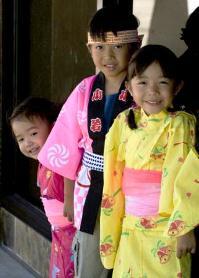 theFamilyTravelFiles.com Showcases The Best Places To Combine Family Fun and Learning. 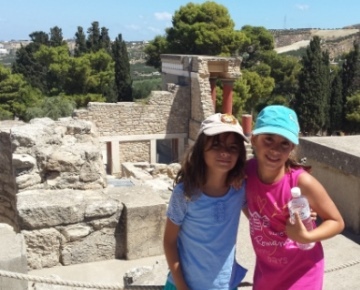 School breaks and spring family vacation time provide the perfect chance to take a break, have fun, and share a learning experience with your children. 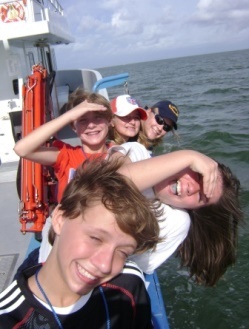 The Spring Break folder at theFamilyTravelFiles.com is loaded with ways to create and share unique learning experiences. From stargazing and living history to tide pools and animal encounters the possibilities are endless. Trying something new in a new place may be just what everyone needs or returning to a favorite museum and a comfortable pastime may be even better. 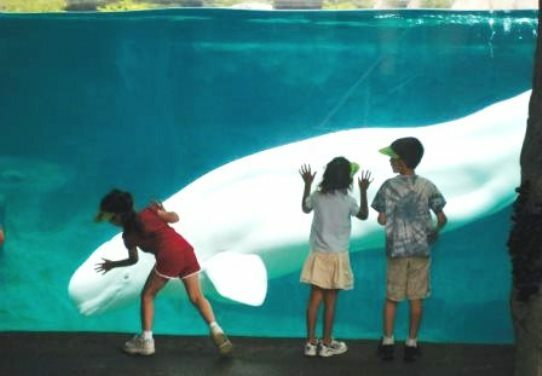 The top 10 choices for exceptional family learning experiences include not just museums, aquariums and zoos but also energizing activities in nature. Dallas: The Perot Museum – Dinosaurs, gigantic gems, and a leap frog forest. Oakland: Chabot Space and Science Center – Bill Nye’s Climate Lab discoveries. Atlanta: Fernbank – See Extreme Mammals: The Biggest, Smallest, and Most Amazing. West Virginia: Bridge walks and mountain biking. Tennessee: Ziplining and rope antics in Gatlinburg. Seattle: EMP –Celebrating Jimmy Hendricks with outrageous outfits, and rare concert footage. Space Coast: Kayak at the zoo and walk through the tree tops. 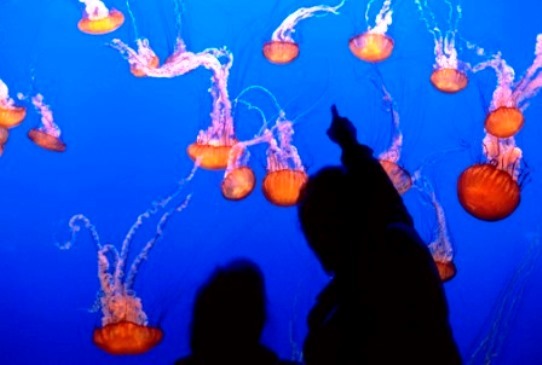 Virginia Beach: Virginia Aquarium & Marine Science Center – Boat excursions and behind the scenes encounters. Orlando: Forever Florida – Treetop EcoSafaris and horseback adventures. Checkout more than 300 Spring Break family vacation ideas which feature ways to combine learning and fun. About theFamilyTravelFiles.com. Founded in 1998, theFamilyTravelFiles.com is one of America’s top-rated online family travel resources offering more than 1000 pages of timely family vacation ideas and trip planning information. The website specializes in displaying family vacation ideas, destination information for adults planning family vacations, advice about family trips, and family travel deals. To assist in narrowing searches, colorful vacation idea folders are visible throughout the website.